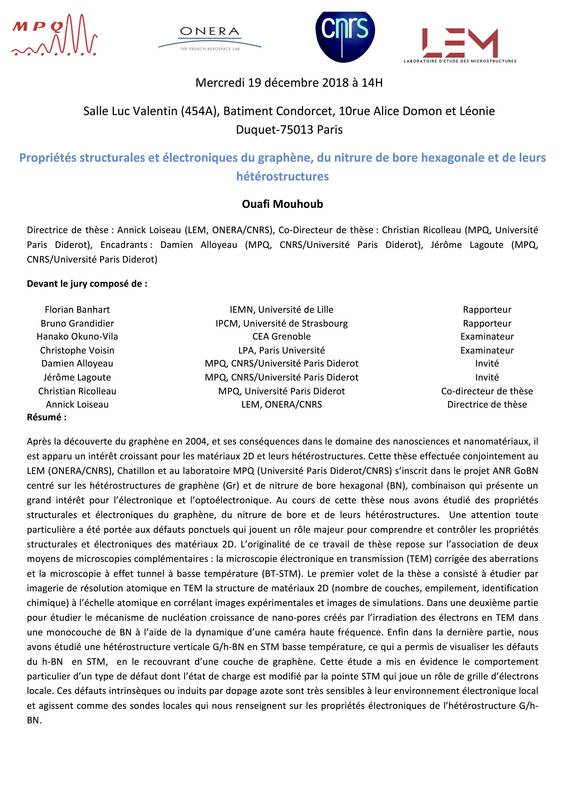 Mr. Ouafi Mouhoub will defend his PhD thesis entitled “Structural and electronic properties of graphene, hexagonal boron nitride and their heterostructures” on Wednesday, December 19 at 2 pm. 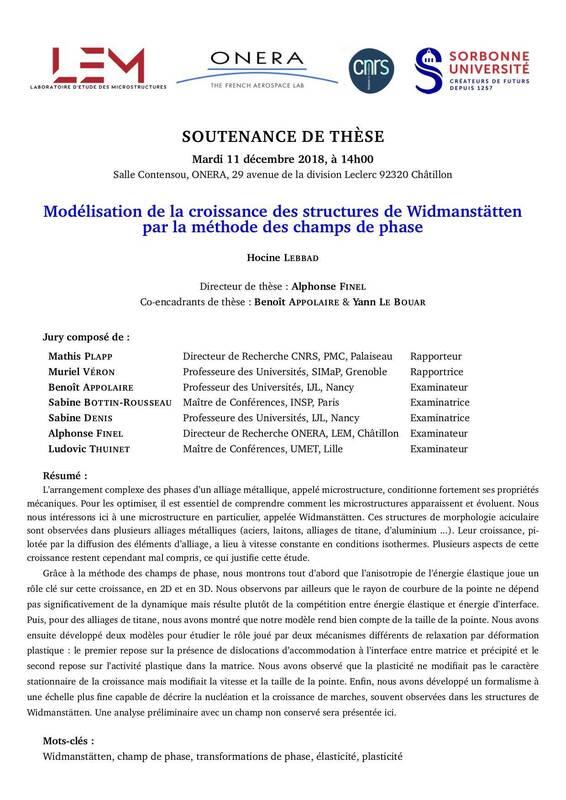 His defense will take place at the University Paris Diderot, Condorcet Building, 10 rue Alice Domon et Léonie Duquet, 75013 Paris – Salle Luc Valentin (454A). 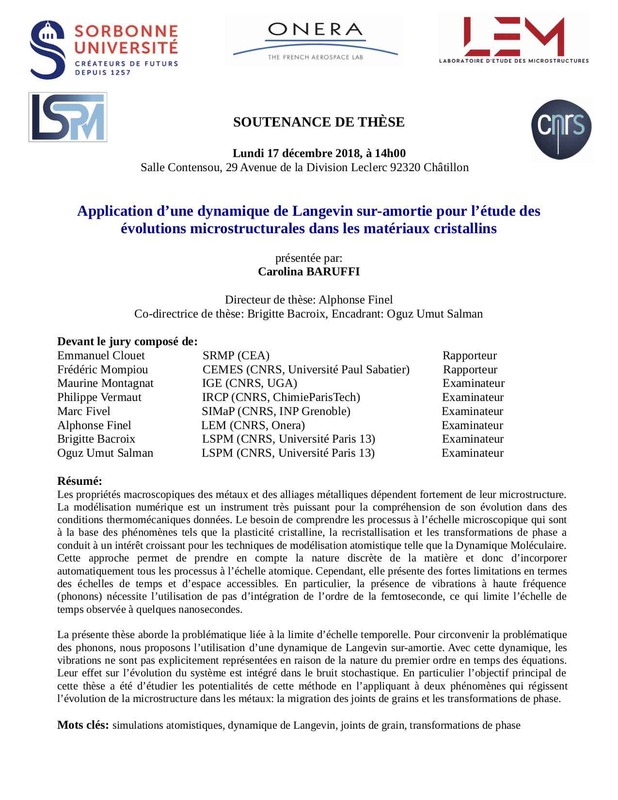 Carolina Baruffi will defend her Phd thesis entitled “Application of an Overdamped Langevin Dynamics to the study of microstructural evolutions in crystalline materials” on Monday, December 17 at 2 pm. Her defence will take place at the ONERA Centre in Châtillon (29 avenue de la division Leclerc) – Contensou room. 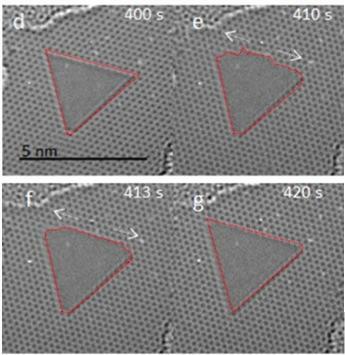 The macroscopic properties of metals and metalLIC alloys are highly dependent on their microstructure. Numerical modeling is a very powerful instrument for understanding its evolution under given thermomechanical conditions. 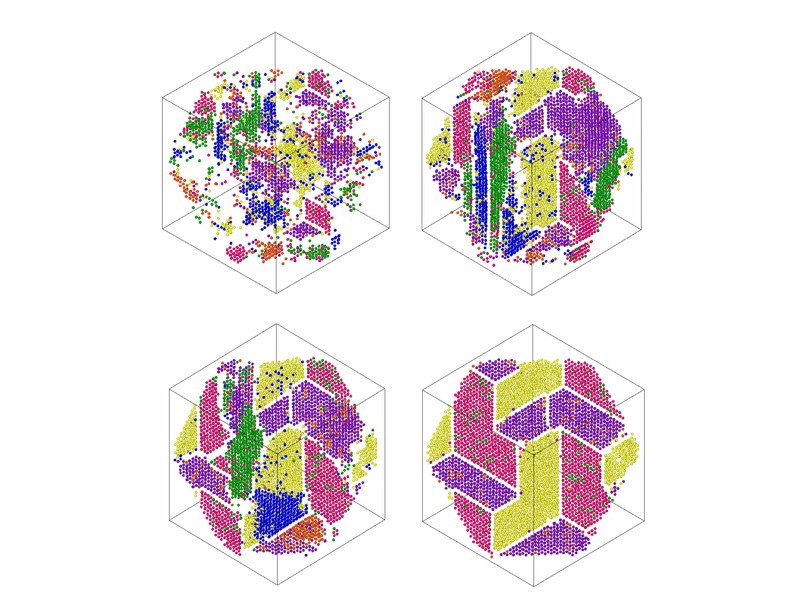 The need to understand the processes at the microscopic scale that drive phenomena such as crystal plasticity, recrystallization and phase transformations, led to a growing interest in atomistic modeling techniques such as Molecular Dynamics. This approach takes into account the discrete nature of matter and thus automatically incorporates all the processes acting on the atomic scale. However, it has strong limitations in terms of accessible time and space scales. 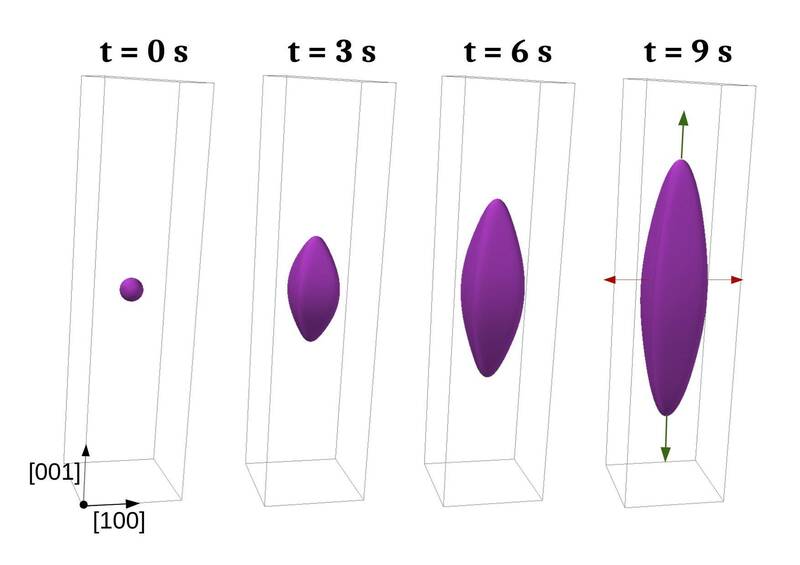 In particular, the presence of high frequency vibrations (phonons) requires the use of integration time steps of the order of the femtosecond, which limits the time scale observed to a few nanoseconds. 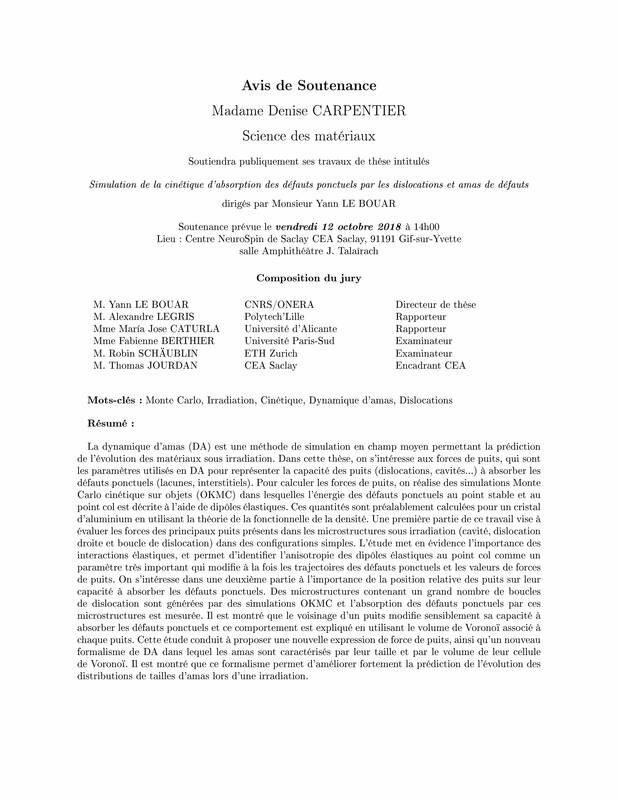 This thesis deals with the problematic of the time scale limit. 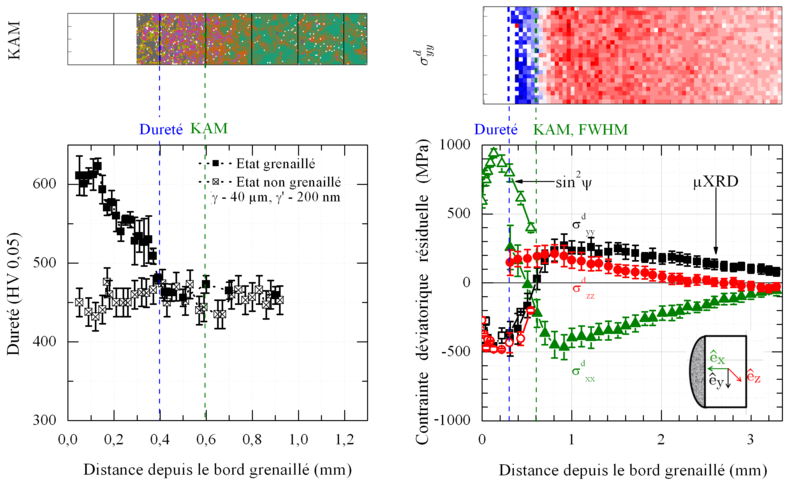 In order to get rid of phonons, we propose the use of an overdamped Langevin dynamics. The first order in time nature of the equations used in the model implies that vibrations are not explicitly represented. Their effect in the system evolution is integrated in the stochastic noise term. To our knowledge, it is the first time that the overdamped Langevin dynamics has been applied in this context. 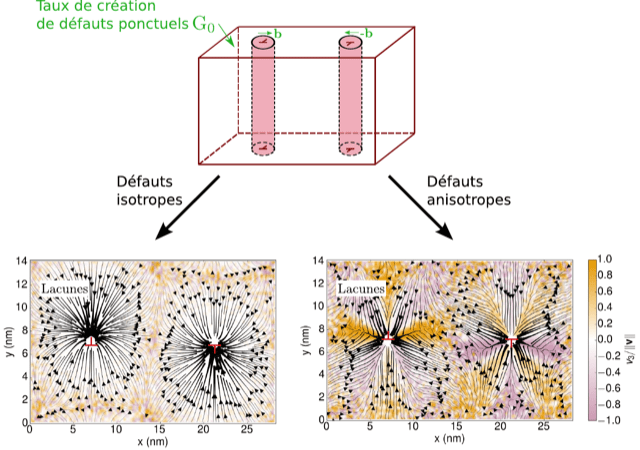 Consequently, the main objective of this thesis has been studying the potentialities of this method by applying it to two phenomena that characterize the microstructural evolution in metals: grain boundary migration and phase transformations. This two-day meeting is aimed at local and European actors active in the growth of two-dimensional materials and their heterostructures. 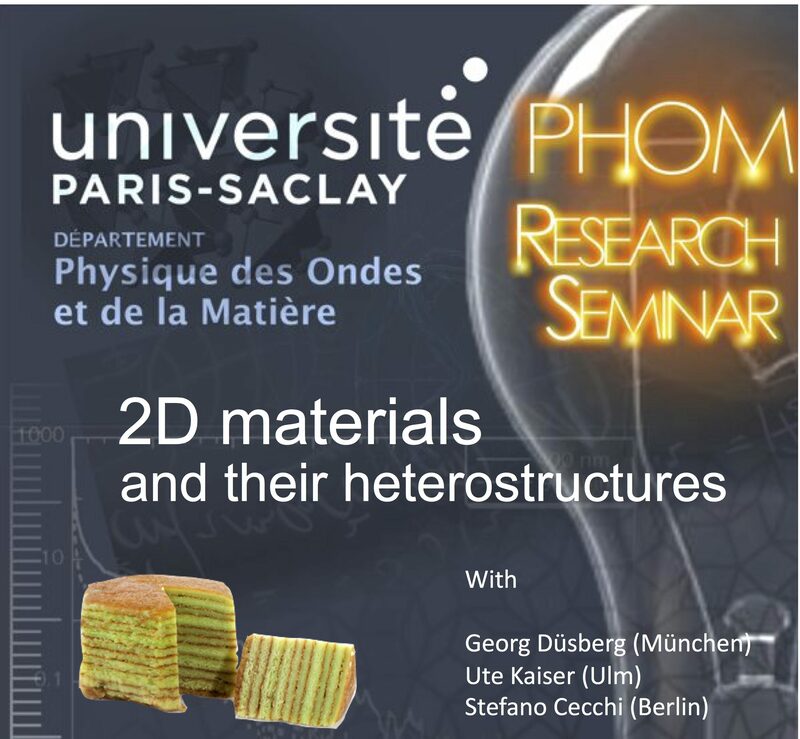 It aims to discuss common research strategies, at the University of Paris-Saclay and beyond, for the synthesis, characterization and valorization of heterostructures of 2D materials with controlled physical properties. 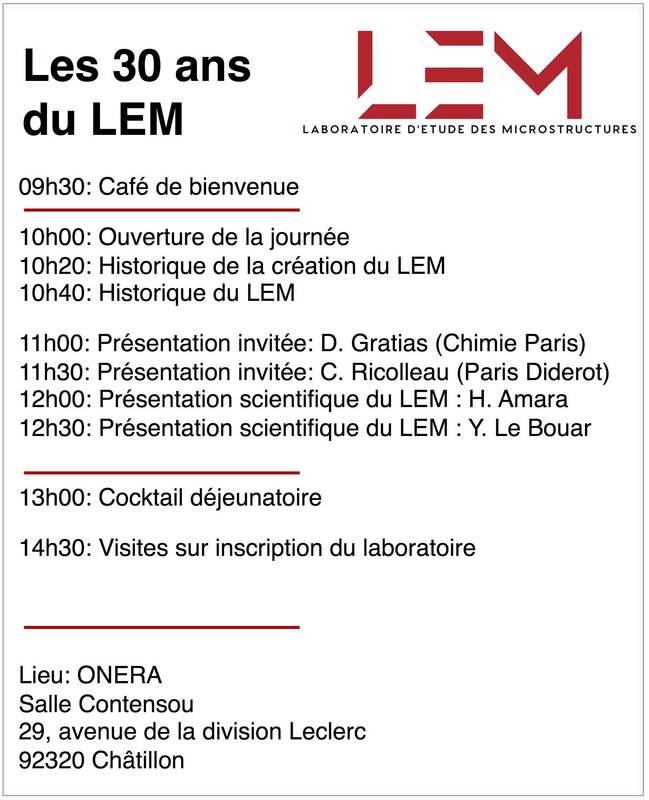 LEM will celebrate its 30th anniversary on tuesday 9th October in Châtillon (ONERA). 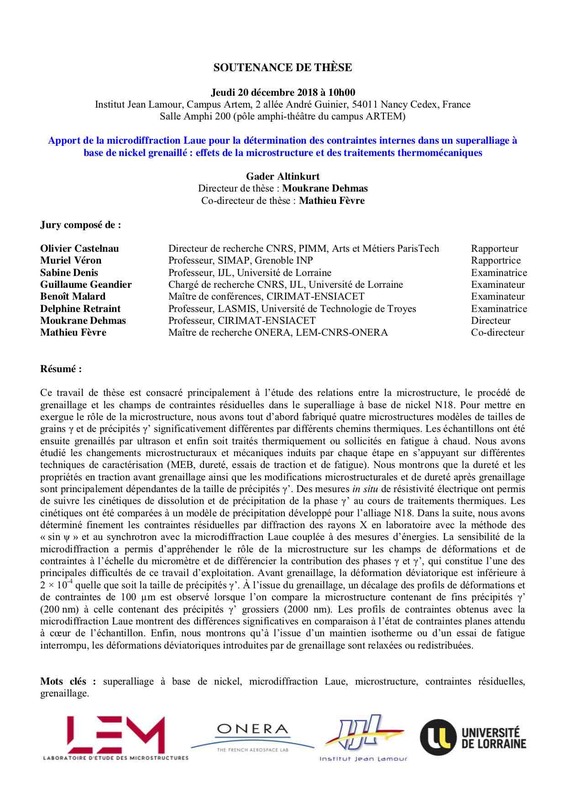 Ms Denise Carpentier will defend her doctoral thesis entitled “Simulation of the kinetics of absorption of point defects by dislocations and clusters of defects” on Friday, October 12 at 2 pm. His defense will take place at the Neurospin Centre in Saclay – J. Talairach amphitheatre. 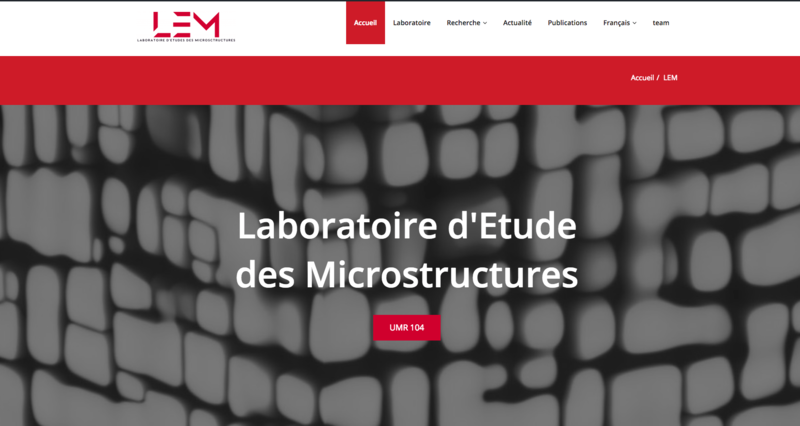 Since 15 July 2018, the LEM has set up a new website. 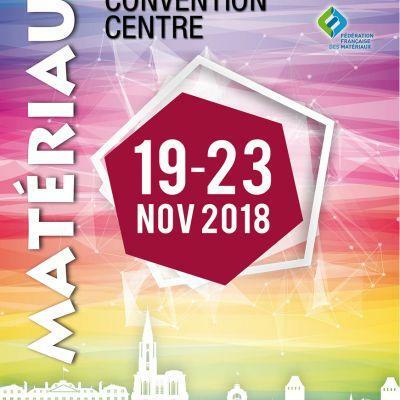 LEM participates in the organisation of the conference entitled “Matériaux Métalliques”. LEM contacts are Yann Le Bouar and Riccardo Gatti. 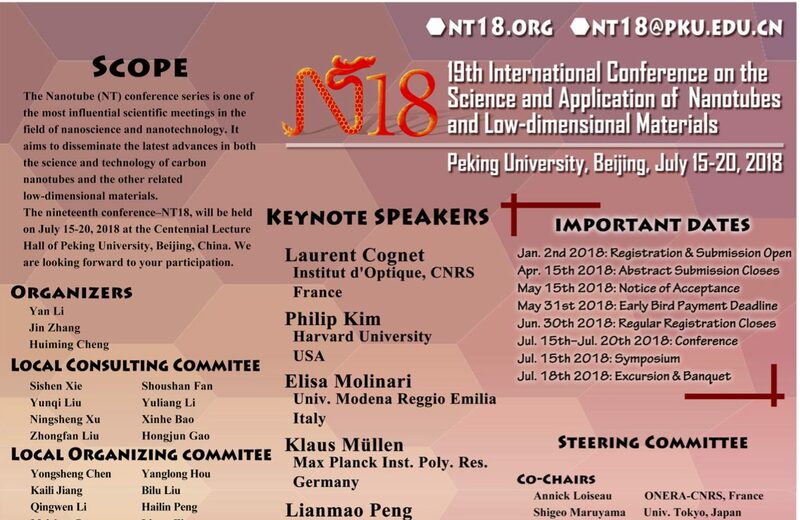 The LEM is a member of the NT18 steering committee, co-chairing the conference. LEM Contact: Annick Loiseau.